Med-Tech Innovation Expo is back for 2019, bigger and more diverse than ever before. The medical technology sector is changing, and with those changes come new requirements on engineering. This year’s Expo will demonstrate the best-in-class solutions to address these new challenges. Reflecting the current surge in interest in medical technologies, the event has seen growth on all sides in recent years. That’s why, for 2019, the Expo is relocating from its previous venue in Coventry, to the NEC in Birmingham. This year promises to be more international than ever before, with trade delegations expected from around the world, taking advantage of the central transport links into Birmingham International. The West Group, on stand F1, will be a crucial stop for anyone with miniature fluid control requirements. The group is a specialist outsourcing partner in this field, and combines component supply with services like cleanroom production. Another key player for outsourcing is Boddingtons, on stand E3, which promises its ‘biggest and best yet’ stand at this year’s expo. CEO Andy Tibbs explained: “All of us at Boddingtons are relishing the opportunity to do a significant amount of business at Med-Tech Innovation Expo. “Together with several valued clients we will exhibit the best of our injection moulding expertise and services – though the products on display and by illustrating and explaining the processes and the technology that made them." Meanwhile on the Medilink Pavillion, Midas Pattern Company will be showcasing a selection of high-quality polyurethane RIM mouldings, for medical device enclosures. The group says that from the initial discussion, it can turn around a project in a matter of days to support with time-to-market. Across three stages and over two days, a stellar line-up of international speakers will discuss challenges and opportunities for medical device manufacturers of all kinds. On the HealthTech Stage, Sarah Trenfield, director of innovation at FabRx will explain how 3D printing can revolutionise the healthcare sector by enabling the production of personalised medicines. The talk will also assess the latest research and technological developments in this emerging field, and evaluate the implications for the future. 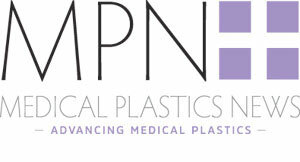 On day two, Leanne Taylor, head of content at Rapid Plastics Media will be joined by Dr Artemis Stamboulis, senior lecturer in biomaterials and nanomaterials at the University of Birmingham, and Helena Flowers, owner and managing director at Andel Plastics, for a panel discussion on the role of women in healthtech and engineering.